Just before we entered the building, I’ve got a little reminder from my daughter to limit taking pictures inside the Oceanarium as I might not enjoy the view. But I couldn’t help it. 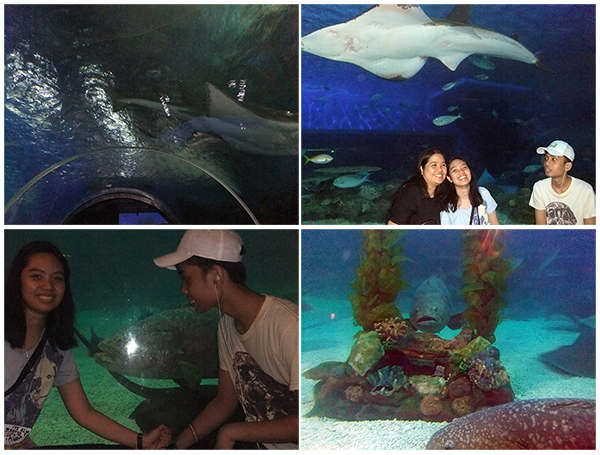 It’s not everyday that we get to see those beautiful marine creatures. 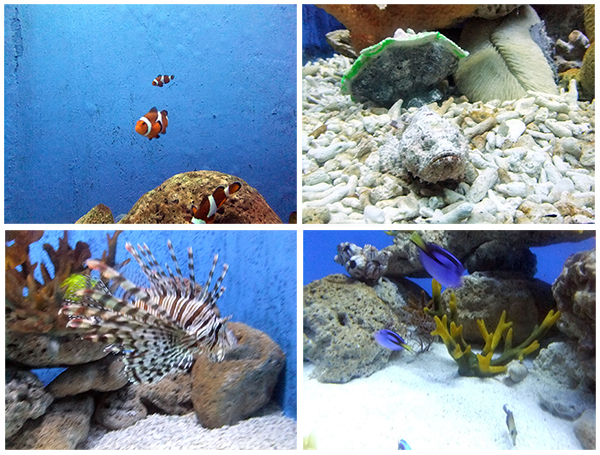 We went further to see the aquarium tunnel where we had a full view of various species of fishes in all shapes and sizes. 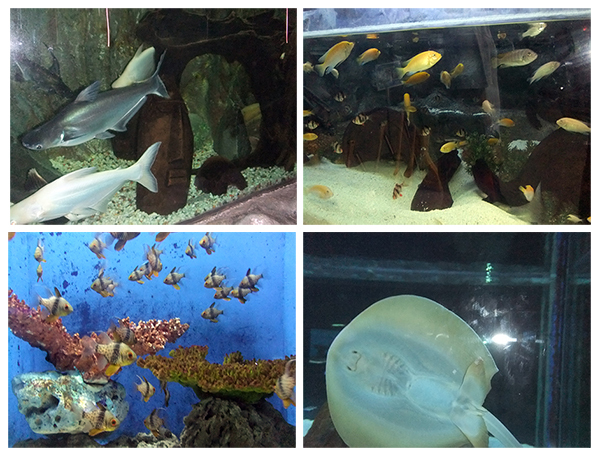 We were awed by the sight of stingrays that swim above our heads and at the sides. We even had photos of them at the background. They are truly a wonderful God’s creation. 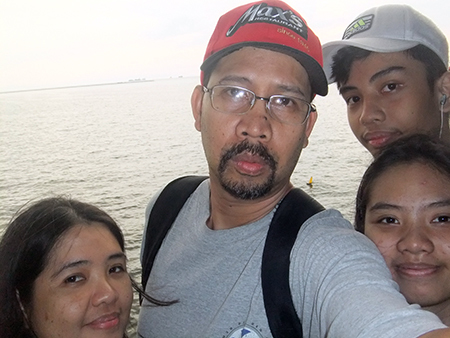 We stayed for a while in the area (I guess it’s the back side of the Ocean Park) where we had our first family selfie with the Manila Bay as backdrop. We also checked out a few items at the shopping area. I bought an eco bag as souvenir. We ate dinner at North Park Noodle House (no available picture to show because we were too hungry to take one) before we head home. It was indeed another enjoyable and memorable day for the family. Our next adventure, hopefully, will be at the Star City. Remember that we still have the ride-all-you-can tickets, still courtesy of PJI. Yay! 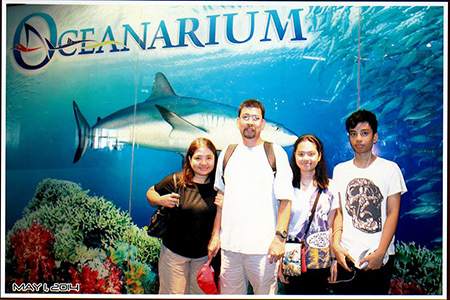 This entry was posted in Family, Personal, Photography, Places to visit, Souvenir ideas, Themepark, Tourists destination and tagged aquarium tunnel, complimentary ticket, family outing, manila ocean park, manila ocean park adventure, manila ocean park adventure 2014, oceanarium, various species of fishes in shapes and sizes on May 8, 2014 by Yami.